Here's my confession of the morning. I'm Christmas tree expedition averse. I'm not sure when it started. Maybe it was when we lived in New York City and my husband refused to pay the tree delivery fee because "it's not far from Union Square to our apartment." 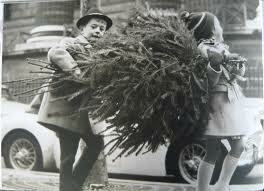 Twenty blocks is a long way to carry a perfect Fraser fir. In fact, by the time we dragged it all the way home, shoved it in the elevator and put it up in our apartment it was far from perfect. Maybe my aversion set in later, like the time I threw up at the Christmas tree lot and realized, with a sudden flash of clarity, that I was pregnant with Child #2. Maybe it is deep-seated, a childhood remnant from too many hiking expeditions that left me with numb feet and a desire to just, "pick the damn tree already!" I'm not sure where my aversion came from but there it is. 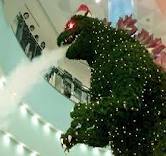 I never go with my family to pick out the yuletide tree. This year, I paid the price. It started with a telephone call. "Honey, we got a BIG tree," said my husband. There was a moment of hesitation, then he added. "It was too big to fit through the tree netter, so we're going to have to take back roads home. I'm afraid it'll come off the roof if I take the highway. But it's going to be an awesome tree?" "Great," I said with a little less enthusiasm. An hour later they returned. My husband's mood seemed to have gone from Christmas cheer to Grinch. "I need some help getting this tree up these steps," he yelled. The two of us dragged the tree up to the front porch. You know the scene from The Grinch Who Stole Christmas, where he's shoving the tree up the chimney? That was us in reverse, trying to get the tree through the front door. Needles were flying and tempers were flaring. We got it inside only to realize that our oversized tree stand was too SMALL for the tree. "That's okay," said my husband. "It almost fits." He ran out to the garage and returned with a hedge trimmer. I looked at the hedge trimmer and then at the tree trunk and said, "You know, I think I'm going to go fold some laundry." Not ten minutes later the tree trunk a la hedge trimmer project came to an abrupt halt announced by a stream of unprintable curse words. I came back upstairs, looked from the broken hedge trimmer to the stump of our Christmas tree, now shaved clean of bark, as though my husband was the aesthetic technician of Christmas trees. "Hmm," I said. 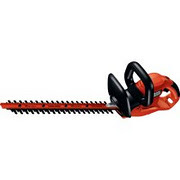 "I bet that hedge trimmer cost more than a new tree stand." He growled something, stomped off to the car and fifteen minutes later was back with a new tree stand. "I'm Ellen Griswold from Christmas Vacation," I texted to a friend. "Is there a squirrel in your tree?" she replied. Happily, there are no squirrels. The tree, with it's freshly shaved trunk drinks approximately five gallons of water a day, but I have to admit it's beautiful. Oh, one last thing. Did I mention my husband is Jewish? I too have an aversion to picking out the tree. I actually have an aversion to the whole decorating thing. I think it is from too many years of 'forced family fun'. My mom was determined we would do it and enjoy it. We were going to decorate and we were going to like it or else. Later on we found out moms illnesses were causing here violent mood shifts, but that doesn't erase my dislike of Christmas decorating. I love it once it is done, I just don't want to participate. My husband also loves the decorations but is too lazy and forgetful to ever do it (plus he and I don't see eye to eye on what is tasteful decorating). It is only for my love of that man that every year I drag out the decorations and make the house festive. I of course found a way to do this in 10 minutes and minimal decorations, but it makes us both happy in the end. OMG Johanna! That is hysterical! Did you know that i worked for a christmas tree company for 12 years? 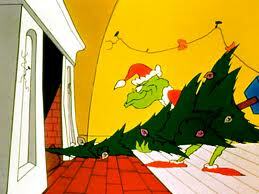 I know aaalll about feeling like a grinch! I am still laughing. Oh my. It is pretty though. That's what my fake one is supposed to look like. The fact he's Jewish is the topper. LOL. A gorgeous tree....well worth every expletive! I can see why you dread it every year! I like my artificial tree. It always fits. Beylit, I need to explore the ten minute decoration philosophy! Connie, I BET you do! Can only imagine the grinchiness of that. Kathleen, yes, once we got it in the tree stand it was. Brenda, I might have suggested twine and I might have been ignored. Alex, that is the beauty of an artificial tree. And your tree is gorgeous!